Austin/Round Rock/Georgetown TX area Lumberjocks - Lets talk! Hi all you Lumberjocks out there, it’s been a while, nice to see ya! 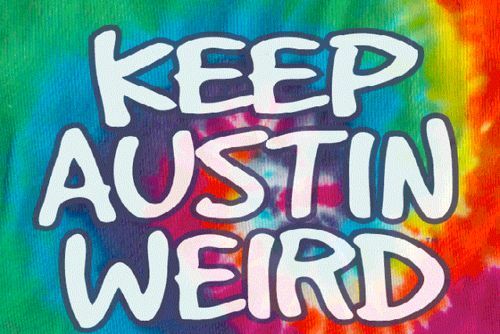 Long story short – I’m moving to the greater Austin area sometime between August & October. My wife is finishing grad school and accepted a job at the Children’s Hospital in Temple, TX. We’ll most likely live in the Georgetown or Round Rock area. Even though I’ve never been to Texas other than to DFW and Houston airports, I cannot wait! I’m imagining an actual house, a yard for my dog, but most of all, I’ll get to have a shop again. And the thought of getting out of Los Angeles, gives me goose pimples just thinking about it! My professional background is in Operations and Accounting / Finance. But my true passion is making, crafting, repairing, and designing things. I am hoping that some of you know some custom shops in the area. I’m specifically interested in places that specialize in Tiny Homes and Food Trucks. Looking for the Mom & Pop’s types or small businesses, not the big corporate giants. Not only recommendations of shops in the area, but if any of you out there are looking to expand, possibly bring on a partner, or maybe even get out of the business, please send my a direct message so we can chat. I think this may be the perfect opportunity for me to transition into the career I’ve always wanted! Anything woodworking related, remodeling, flipping, machining, fabrication, etc., I am interested in, holler at me! Also any general information about living in the area would be appreciated! ... he also likes long walks on the beach, breakfast burritos, and tearing up when talking about the cold hard streets of Pasadena. First , Congratulations!!!!! That is great news. Blondie and I spent 23 yrs in Los Angeles, and recently moved to Nashville. We had a great time, but leaving California was the best decision ever for us. Escaping the extreme taxes silly political views, sanctuary state ect. We’re just finishing building our dream shop. So if understand how your feeling. Hope you new move is great, and enjoy your new chapter, cheers. Congratulations on moving into the area, there is a lot to like around here. I am new to woodworking (about 6 months) so probably won’t be of much help, but I have lived in the northeast area (Pflugerville/North Austin) since ‘84 (and before that went to school at UT from ‘71-’76) and work in Round Rock. There is a Woodcraft near me but I am still searching for something similar. If there is any way I can be of help just let me know. Sounds like if heading to TX then you found the best spot in regards to the your interests. Good mix of corporate larger companies and then plenty of smaller companies and businesses to support the large numbers of people that have made places like Ashville NC, Madison WI, etc.. hot places for many. I would imagine your best bet is once you get there put some leg time in. Based on the area and the type individuals that are into tiny homes, etc.. You will find it very easy to walk up and ask questions and have a lot of help. Probably a dozen or so tiny home builders/hotels/stores in that area. Hit the right spots and likely going to find out a lot of information over a few cold craft beers or visit a few music venues. Several I know several that have visited spent time in that area and have commented on just how friendly and helpful the people ere. Very much areas of the city bought into the idea of community and the notion helping someone else ends up helping you. Hahaha, Tony you know me too well! Thanks Ken, I’ve seen a few of your posts about your move and building the dream shop, sounds awesome and congrats to you guys! Nashville is a cool place! Yes LA, the whole state is seriously jacked up, living here has been an experience to say the least, overall it’s been positive, this just isn’t where we want to be. I hear Austin is a lot like my beloved Portland, I am really excited. Thank you Danny! Pflugerville has come up alot whole browsing homes, seems like a nice area. Good to know there’s a woodcraft nearby! Good luck on the move 7! I would imagine if your wife is going to be working in Temple they you would be looking south toward Belton or north toward Waco or the country around there (Temple/Belton is about an hour north of Austin, Waco is another 1/2h). There are some really nice pastoral farmland areas around there (Holland is a good example). Are you looking more rural or more city? How long of a commute? Good luck 7. I transitioned from Las Vegas to Washington last year. I love it up here. I have a brother that lives in Texas, but not sure exactly where he is located in relation to your new location. He has a couple of shops on his property. One of which will eventual be a wood shop. Maybe I can do a drive by when I come down to visit him. 7, my good buddy is a realtor in the Austin area, if you’re interested. Paul def let me know if you come that way! I plan on getting more active on here again. I still owe you lunch, we never connected when you came up for that job at the swoosh in Beaverton. Danny, yeah Temple and Belton seem pretty nice, but a little too small townish for us. Communte isn’t a huge deal because we’re use to the worst traffic on Earth here in LA, and the wife will only be working three or.foir days an week because of their shifts. Thanks Todd I’ll keep it in mind, we’ve already been hooked up with some peeps but not sure if we’re going to buy right away or not.